Figure 70. 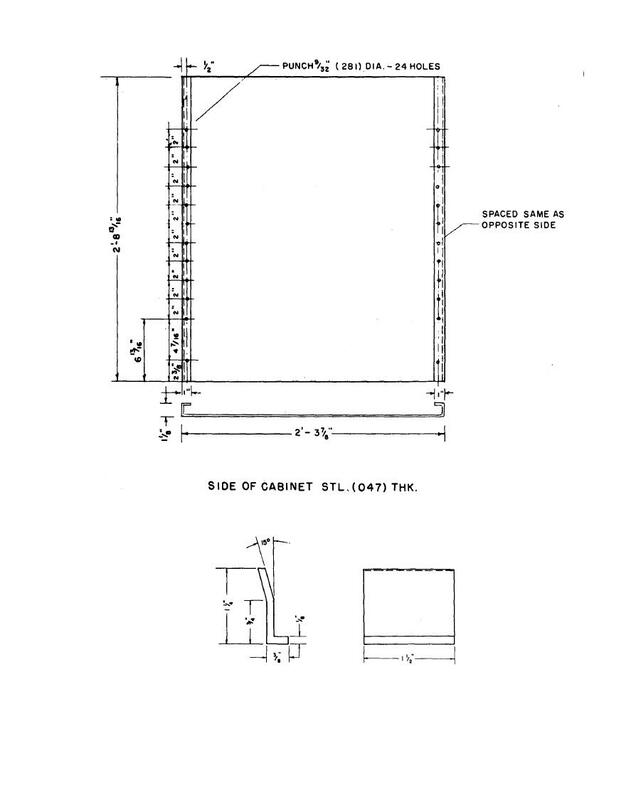 Typical cabinet guard support, type II. Figure 68. Typical cabinet top gusset, type I. Figure 72. Typical cabinet steel shelf, top view. Figure 69. Typical cabinet aide, type II.